I meant to blog before now, but I’ve hardly been home in the last few days. I’ve seen A L Kennedy (brilliant as always) Tracy Chevalier and Alison Case (fascinating) and been to Alison Case’s workshop on Wuthering Heights (excellent, and now I need to read it again). In addition I’ve been chairing Christiane Dorion, appearing on a panel with her, Ros Asquith and Mary Hoffman, doing my own science event, and chairing Val McDermid and Niamh Nic Daeid. All fantastic fun, but I am feeling slightly punch drunk, and my house is an example of entropy in action. An early night definitely beckons, before I lead a reading workshop on the Durrell Corfu books tomorrow. After that, it’s back to school for a bit of a rest! Ha ha. I’m not finished yet though: I’ll be back in book action from the 28th, pretty much non-stop until the end of the book festival. 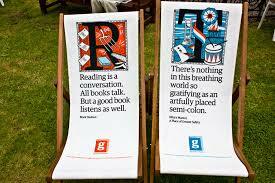 « Book Fest Blog #1: Good Grief, the Sun’s Out! I’m back in on the 31st for a school event with Angie Sage at 12:15 – will you be around that day? If so, let’s meet up! If not, we’ll wait till the dust settles – or is that your heart rate I mean? I’m chairing Robert Winston at 2.30, so should be around after your event. See you in the yurt?